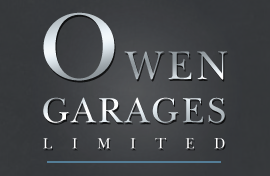 Here at Owen Garages Ltd, we offer a range of vehicle services for our customers including vehicle servicing and car repairs in Haywards Heath and the surrounding areas. Our work is always completed to an impeccable standard to ensure that you are totally satisfied with our work. Although we can help with German vehicles, we are also recognised specialists when it comes to Japanese performance cars including all of the makes and models. We are a Bosch diagnostic tuning centre meaning we can provide a highly detailed and comprehensive service to our customers around the region. Using the latest equipment available we can quickly and accurately find and fix faults with your vehicle no matter how minor or complex they may be. For all of our repairs we only use the finest quality parts so that your car works the way it was intended for longer. We are always happy to talk to our customers and to provide them with a level of service and care that is to an excellent standard. To find out more or to discuss your requirements, please don't hesitate to get in touch with us today for more information or to see how we can help with your vehicle.